In this heartwarming tale, children discover the true spirit of Christmas. The power of prayer brings alive the hope that comes to those who believe in Jesus, a message which can be so easily forgotten by children during the hectic Christmas season. The warm, full color double-spread illustrations captivate readers of all ages as they reflect upon the Christmas message of faith, joy and hope. 300 years ago a boy who is in the worst of ways prays to Jesus and writes to Santa. 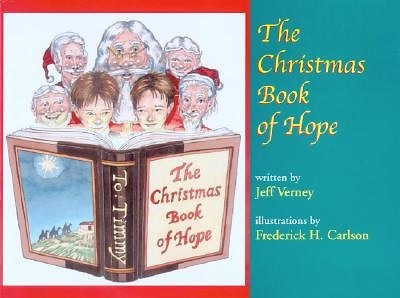 One of Santas elves writes a book of hope, which emphasizes the importance of believing in Jesus. But the special gift is lost before it is delivered. Through the power of prayer things get better for the boy. The book remains lost for 300 years until it is given to one of the boys descendants at a time of need, bringing joy to him as he believes in Jesus.